Material Type: Massiveness, Granule, Grain etc. 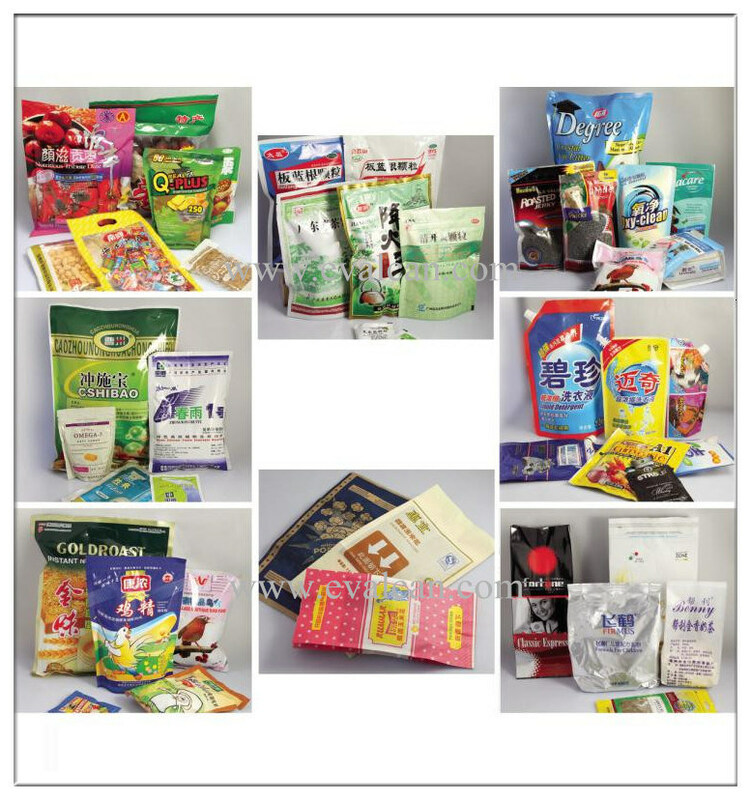 Packaging Material: Film, Plastic, Composite Materials,OPP/CPP/PE etc. Bag Material: Laminated Film, PE, PP etc. This machine could pack granule , such as: candy, nut, currant, peanut, melon seeds, pip, chocolate, cracker etc. 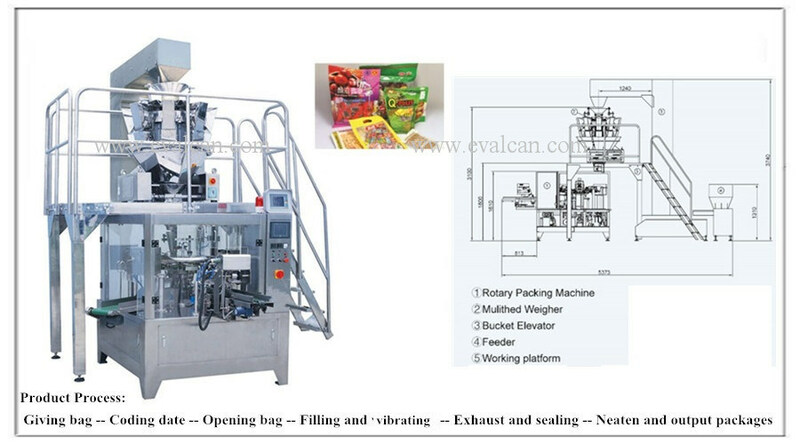 The machine includes the rotary packing machine multihead weigher, bucket elevator and working platform. 1-Easy to operate, adopt advanced PLC from Germany Siemens, mate with touch screen and electric control system, the man-machine interface is friendly. 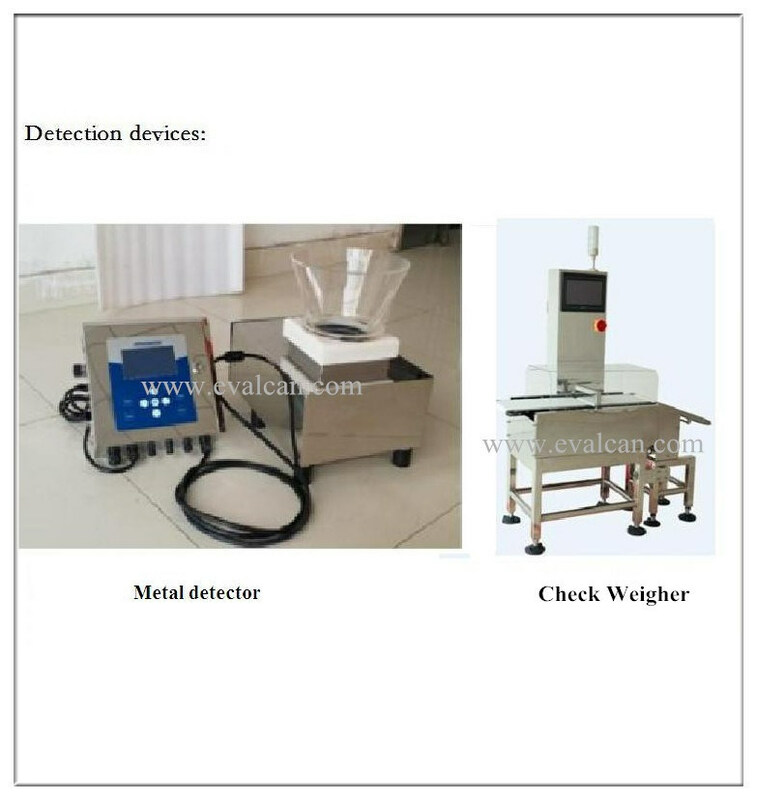 2-Automatic checking:Â no pouch or pouch open error, no fill, no seal.The bag can be used again, avoid wasting packing materials and raw materials. 3-Safty device:Â Machine stop at abnormal air pressure, heater disconnection alarm. 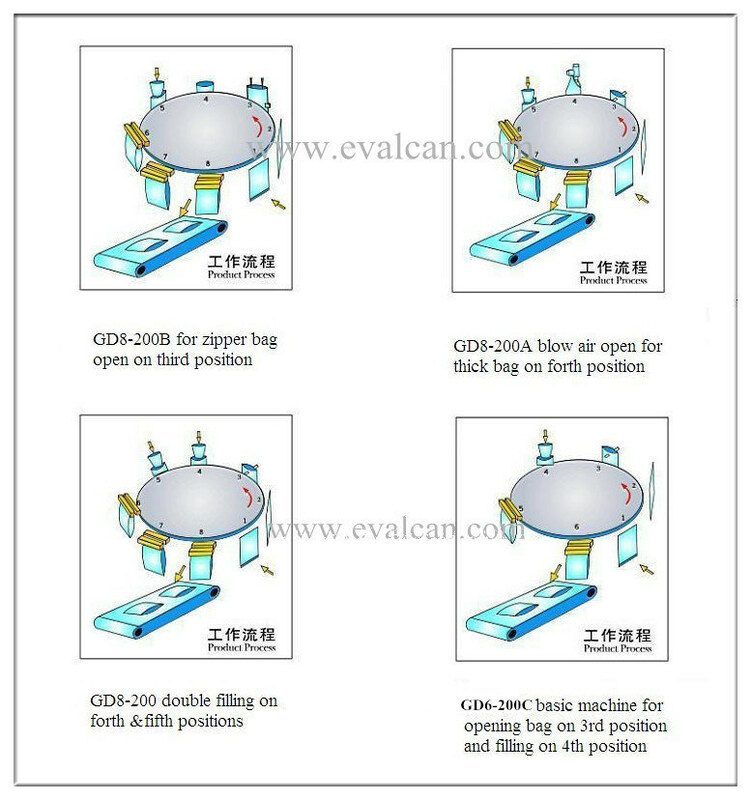 4-The width of the bags could be adjusted by electrical motor. Press the control-button could adjust the width of all clips, easily operate, and raw materials. 5-The part where touch to the material is made of stainless steel. Bag Material Laminated film,PE,PP etc. Multihead Weigher By weight Granule type materials, solid type materials like chips, detergent, candy etc. Auger Filler By volume Powder type materials, like milk powder, flour, detergent powder etc. Measuring cup By volume Heavy powder and small granules type materials, like seeds, beans, salt, sugar etc. Liquid & Paste Filler(Servo-motor drive) By volume Liquid type materials, like juice, paste etc. Screw Conveyor By volume Powder type materials, granule type materials like milk powder, candy etc. 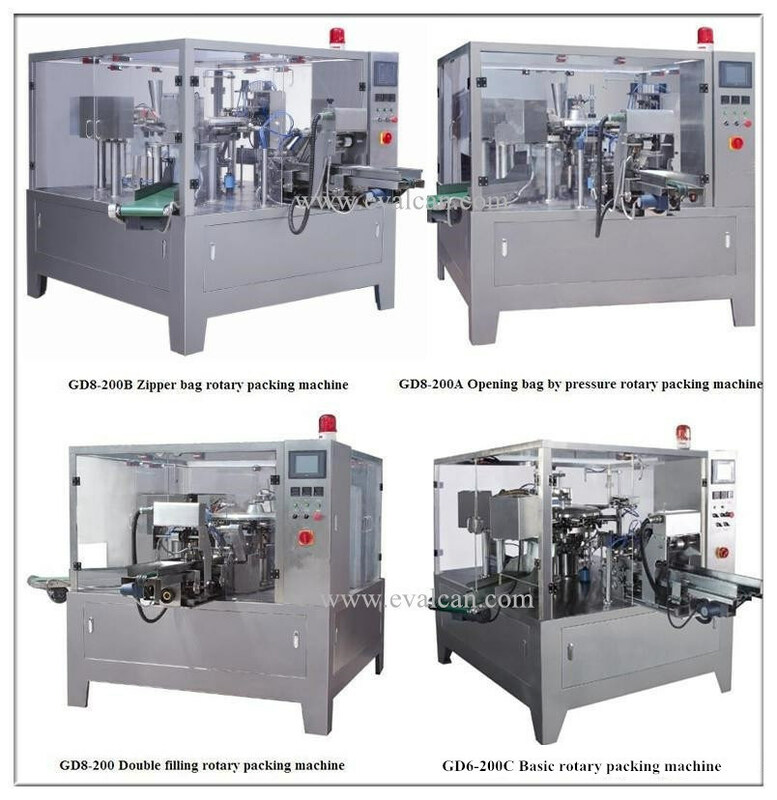 As a basicÂ rotaryÂ packing machine, this type of machines also has different bag size, andÂ packing speed. 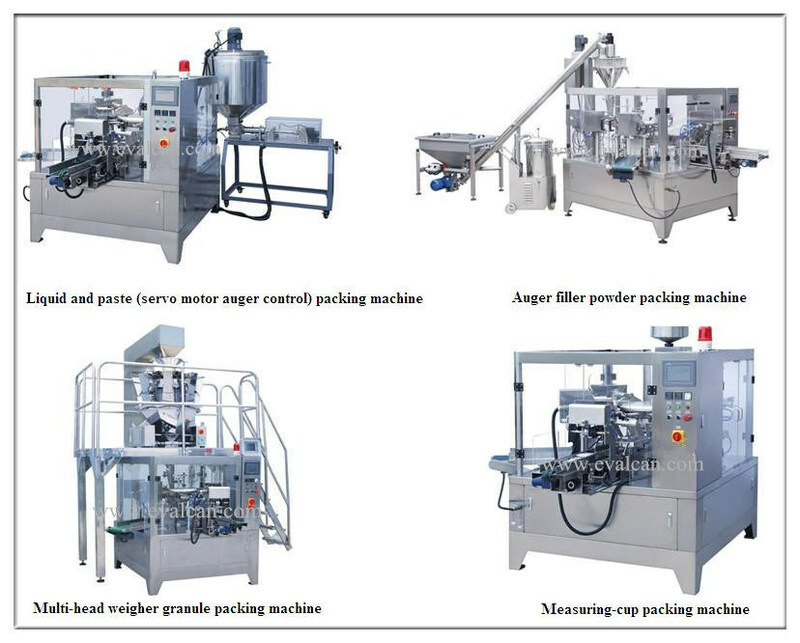 With different feeders changed to pack granule, solid, liquid, paste, powder etc. A-Hot ribbon printer, can print date, batch number on the bag by hot ribbon, max. 3 lines. B-Ink jet printer, can use ink jet to print the date information etc. on bags, without line limits. C-Thermal - transfer printer, can use this printer to print the number, character information, and the bar code, logo, picture etc. on bags. Can set metal detectorÂ before packing, and connecting with packing machine to select out the packs has the metal in. Can set check weight after packing, to select the wrong weight packs. As industrial packaging professionals, Anderly Packaging creates custom sustainable cardboard tube packaging, cardboard cylinders, and spiral wound core solutions that are adaptable to a variety of applications. As a spacer, insulator or sleeve, these sturdy forms of packaging are used to prevent or reduce damage to sensitive parts and durable goods during shipping or distribution. This often requires us as a manufacturer, to adhere to stringent technical requirements and strict tolerances.